When Super Mario Bros. was released in tandem with the Nintendo Entertainment System in North America in 1985, it quickly became a pop culture phenomenon. Though many games such as Space Invaders and Pac-Man were smash hits in the arcade scene, what Super Mario Bros. accomplished with its own success was arguably more important. The specs of popular consoles before the 1983 crash were uniformly inferior to anything one could find in arcades. This didn’t matter because the idea of playing a game in the comfort of one’s home was novel at the time – unless they turned out as disastrously as the Atari 2600 version of Pac-Man, that is. However, Super Mario Bros. changed the way people looked at console experiences. This was a game that wouldn’t have felt out of place in the arcades, yet it in many ways, it could be said to have offered an experience far superior to anything the common person played. In 1985, games as easy to pick up as Super Mario Bros. were typically played until the player expended all of their lives. Not only that, but one would be lucky if they even had multiple stages. Super Mario Bros., on the other hand, was a game with thirty-two distinct levels and a definitive ending. With the success of both Super Mario Bros. and its respective platform, a sequel was inevitable. Fans of the game were in luck, for Takashi Tezuka and Shigeru Miyamoto had been experimenting with challenging level designs. The result of their endeavors was released in June of 1986 for the Famicom Disk System entitled Super Mario Bros. 2. Although it sold over two-million copies and would appear to be a guaranteed best-seller abroad, it wasn’t to be. Howard Phillips, who was in charge of evaluating games for the president of Nintendo of America, deemed it unfairly difficult. The subsidiary as a whole didn’t wish for the series to be associated with the levels of frustration one would feel attempting to play Super Mario Bros. 2. As such, they requested a newer, easier sequel to Super Mario Bros. for the West. Not wishing to stifle the considerable momentum they had gained with their overnight success, Nintendo agreed accepted the proposition of their overseas branch. Employee Kensuke Tanabe found himself directing this sequel. He quickly developed a prototype that emphasized vertically scrolling levels with two-player cooperative gameplay. They were to ascend by throwing and stacking blocks. In the process, Mr. Tanabe encountered many difficulties when his ideas exceeded the consumer hardware, and his peers expressed that they didn’t care for the gameplay. Mr. Tanabe insisted on sticking with his idea, but relented and agreed to add overtly Mario-like elements such as horizontally scrolling levels. However, development was suspended when no further progress could be made. Shortly thereafter, Fuji Televison approached Nintendo with an intriguing request; they wanted them to create a game using mascots from Yume Kōjō – a live event they were in the process of orchestrating. 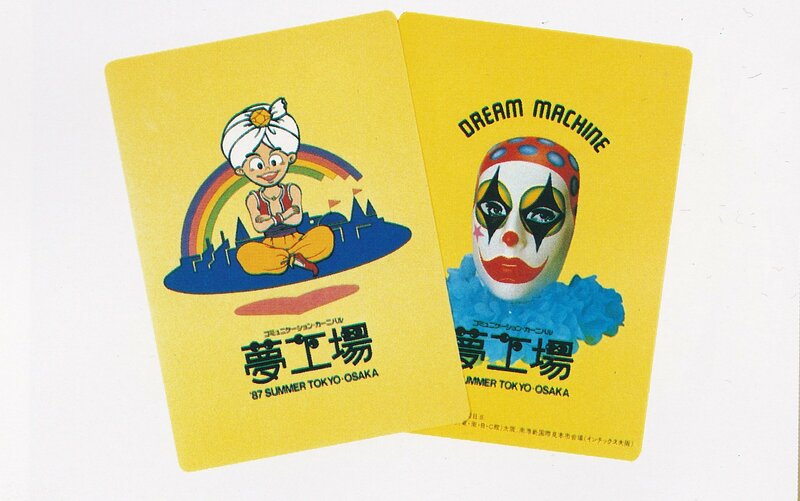 The event was conceived in 1984 when Fuji Television producers took a trip to Brazil, taking part in Carnival. They enjoyed it so much that they wanted to preserve its spirit in Japan with a similar festival. It would both promote Fuji Television and display new technology for families. It was also intended to inspire the children of 1987, who would become the first adults of the twenty-first century. This ultimately provided Nintendo with the inspiration they needed. Collaborating with Shigeru Miyamoto’s own team, they expanded on the gameplay. The result was the 1987 Famicom Disk game Yume Kōjō: Doki Doki Panic – “Doki Doki” alluding to the Japanese onomatopoeia for a rapid heartbeat. 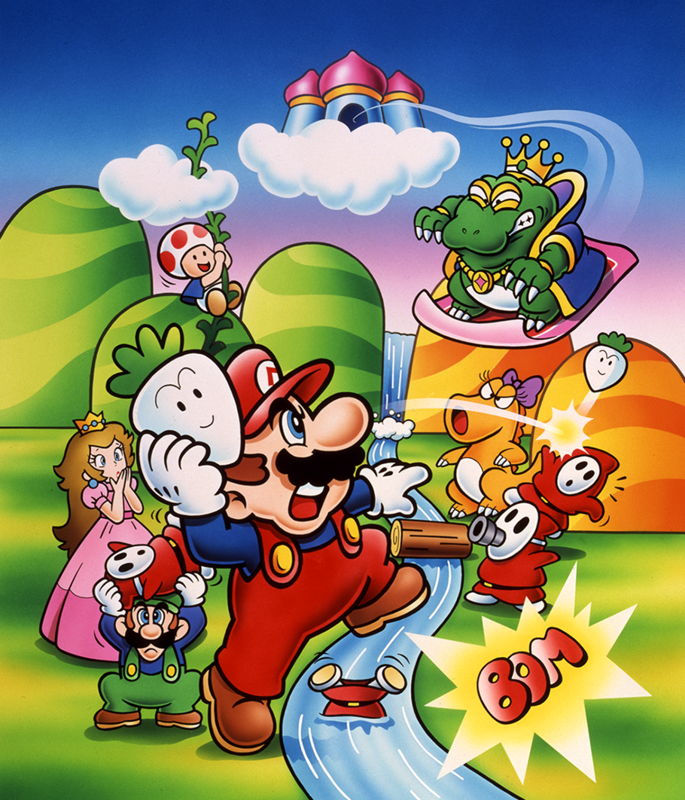 Once Doki Doki Panic proved a commercial success in its native homeland, Nintendo reverted the licensing changes so that the game would once again star Mario in the lead role. 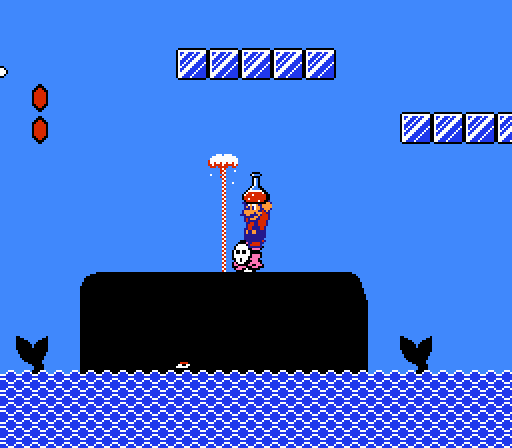 This version of Doki Doki Panic was the one released abroad under the name Super Mario Bros. 2 in 1988. 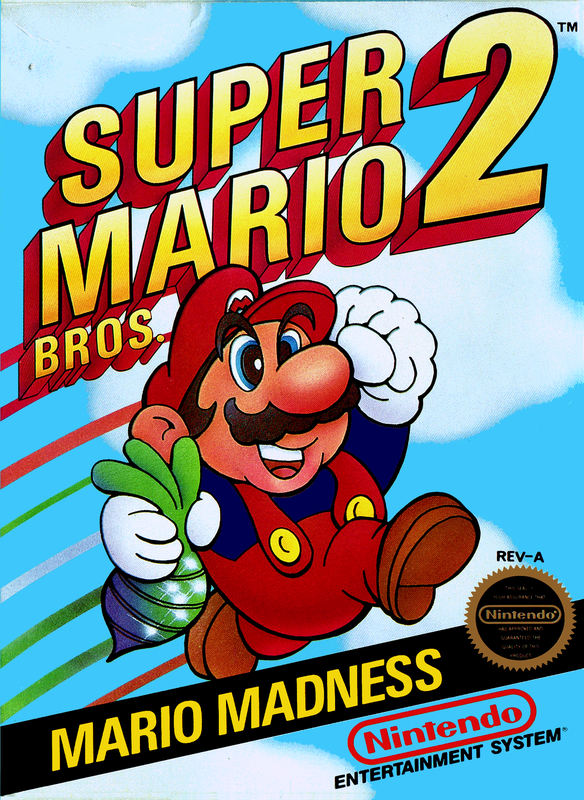 Though it was intended to be a Mario game as Mr. Tanabe developed its prototype, Super Mario Bros. 2 is historically considered something of a black sheep in the series. Nonetheless, people in 1988 didn’t mind its radically different gameplay, for it sold ten million copies, making it the third-best selling title on the system. In fact, it was such a success that Nintendo eventually released a Japanese version entitled Super Mario USA. Does Super Mario Bros. 2 measure up to its formidable predecessor’s legacy? Mario had a strange dream one night. He climbed a long staircase, opening a door at the very top. On the other side lied an incredible world. A voice welcomed him to the land of dreams – Subcon. The voice told him of a villain named Wart and that the world is suffering due to his actions. Only Mario could free the people from his tyranny. Before he woke up, the voice gave him one bizarre piece of advice: “Wart hates vegetables”. The next day, he headed out on a picnic with his friends Luigi, Princess Peach, and Toad whereupon he tells him of his dream. To his shock, they all had the exact same dream the night before. Arriving at their picnic spot, the four of them notice a small cave. After climbing a long staircase inside, they arrive at a door. They are subsequently shocked to see Subcon, the land in their dreams, awaiting them on the other side. Realizing the true meaning behind their shared dream, Mario, Luigi, Peach, and Toad set out to free Subcon from the tyrannical Wart. Because video game plots were typically found in the instruction manual, the first hint most would-be players had that Super Mario Bros. 2 was going to provide a wildly different experience stared at them in the face the second they pressed the “START” button for the first time. Rather than placing them in the game immediately, they are taken to a character select screen. For a game called Super Mario Bros. 2, Mario and Luigi were obvious inclusions, but nobody at the time could’ve expected that Princess Peach or her retainer, Toad, would be playable characters. Even in the three years between games, enthusiasts were used to Peach being the damsel in distress. Yet, there she was – fighting alongside Mario and Luigi to save Subcon. Super Mario Bros. 2, like its predecessor, is a side-scrolling platforming game. Despite being in the same genre, it doesn’t take long to discover many substantial differences between the two games. One new feature presents itself as soon as you begin as you watch your character fall from a door in the sky. While levels in Super Mario Bros. could only ever scroll horizontally, certain sections of its sequel, such as the one in which you begin the game, ascend or descend instead. In these areas, guiding your character to the left or right edges of the screen will cause them to emerge from the other side. This aspect alone does an excellent job lending the land of Subcon a dreamlike quality. By entering the next door, your character is allowed to enter the level properly. The question mark blocks and familiar enemies of the original game are nowhere to be found. With no obvious method of collecting a Super Mushroom, Super Mario Bros. 2 opts for a health system – represented by red hexagons on the left side of the screen. Unlike in The Legend of Zelda, all enemy attacks inflict exactly one hexagon worth of damage. If your character is down to their last hit point, they will shrink in size. Naturally, taking damage in this state will cost you a life. Littered throughout the game are red plants that your character can pull from the ground. You only need to position your character over the plant and press the “B” button to pull it. A vast majority of these plants are vegetables. These don’t benefit your character directly. Instead, they can be thrown at enemies to defeat them. This is especially important because you cannot defeat enemies by jumping on their heads. Your character usually won’t take damage trying, though. Doing so usually results in the enemy in question amusingly carrying them as though nothing is wrong. When standing on an enemy, you can pick them up, using them as an improvised weapon in a similar manner as the vegetables. The biggest difference is that most enemies will resume their normal behavior upon being set down whereas a vegetable merely disappears from sight if it misses. Being the surreal realm that it is, not all of the plants in Subcon are actually vegetables. A lucky player may find a 1-Up Mushroom, Koopa Shell, POW Block, or Magic Potion through pulling these plants out of the ground. The function of a 1-UP Mushroom is obvious, and anyone familiar with the classic arcade game Mario Bros. knows the POW Block does. Though it’s activated by throwing it as opposed to striking it from below, it has the exact same effect. Upon hitting the ground, it creates a powerful tremor, defeating most onscreen enemies. Koopa Shells roll on the ground when thrown, defeating any enemy unfortunate enough to get in its way. It’s best to take caution because not all of the items one can find by pulling plants are beneficial. You just might uncover a Bob-omb, a mobile explosive. If this happens, you have a few seconds to toss it before it explodes. The purpose of the Magic Potion is less obvious. Once thrown, it creates a doorway in the exact spot it strikes the ground. Upon entering the door, the player character is taken to Subspace. This odd dimension is a dark mirror image of Subcon. Upon entering it, your character only has a few seconds to interact with the environment. During this time, the screen cannot be scrolled. Pulling any plants in this realm reveals coins instead. If the player carries these coins to the end of a stage, they will have an opportunity to procure more lives by playing a slot machine. Only the unpicked plants from Subcon will carry over into Subspace. If your character enters Subspace, they may happen upon a mushroom. By picking it, their health is fully restored and increased by a single unit. Though this could be seen as a clear analogue to the Heart Containers from The Legend of Zelda, the extra health does not carry over into the next stage. Even so, such a valuable asset should not be passed up for any reason. With no question mark blocks to strike, you must be a little more proactive when it comes collecting resources. For every eight enemies defeated, a Small Heart will appear by floating in from the bottom of the screen. Intuitively, collecting it will restore your character’s health by one unit. Moreover, you will notice cherries placed in various areas of a given stage. Should you collect five of them, a Super Star appears from the bottom of the screen. This power-up grants anyone who acquires it invincibility for a brief duration. The odd Western fan who had the opportunity to play the Japanese version of Super Mario Bros. 2, which would later be dubbed The Lost Levels abroad, may surmise without looking at through the instruction manual that there is a deeper reason behind having four different characters to choose from. This supposition would be entirely correct. 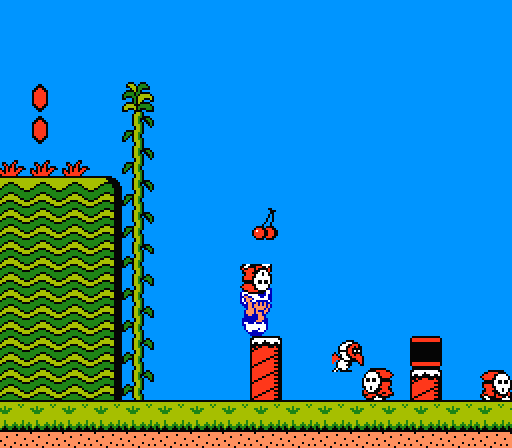 All four characters have basic abilities in common such as running, jumping, and pulling plants out of the ground. They also can perform a higher jump, which is accomplished by having them do so after ducking for a short time. The maneuver is ready when your character begins flashing. Despite their similarities, there are subtle differences between the four available characters. Of them, Mario is slightly above-average across the board. He is reasonably fast and strong in addition to being a good jumper. Luigi, has a much higher jump, but as a tradeoff, he has a slower run and cannot pull plants as quickly as his older brother. Toad is both fast on his feet and can pull plants much more rapidly than anyone else. In exchange, he is the poorest jumper. Finally, Peach is both the slowest and weakest character. She doesn’t even make up for it with her jumping ability, which while better than Toad’s, is worse than Mario’s. Ironically, many people who have played this game frequently cite her as the single best character. Why is this? She has the ability to float in the air for a short duration by holding down the “A” button in midair. This trivializes much of the game’s challenge because with enough practice, you will have little trouble placing Peach on even the most precarious of platforms. In spite of its different gameplay, I can say there are quite a few aspects in which Super Mario Bros. 2 can be considered an improvement over the original. The most obvious step forward for the series lies in its level design. The level design in Super Mario Bros. operated on a very simple premise: go right. The developers enforced this premise by rendering any notion of backtracking impossible. The left edge of the screen effectively caused the game world to disappear into the ether – at least until the next playthrough. Super Mario Bros. 2 breaks this rule as soon as your character tumbles out of the door in the sky. As a result, while one could conceivably complete World 1-1 of Super Mario Bros. in a matter of minutes, the first stage of Super Mario Bros. 2 is markedly more dynamic. To reach the end, you must guide your character through a cave system and have them climb a tall beanstalk that reaches into the sky. I feel the level design of Super Mario Bros. 2 could be described as the result of the developers transplanting sensibilities from The Legend of Zelda into a Mario game. Barring the discovery of a Warp Zone, you have to complete the levels in the intended order. Despite this, there is a surprising amount of leeway given to the player in how they are to reach the goal. As early as the first cave system, an alternate path to the end of the stage can be discovered. This greatly expands upon the exploratory elements present in the original game. As if to reflect this drastic shift, there is no time limit hounding the player in Super Mario Bros. 2; players can take as long as they need to clear a stage. Another aspect Super Mario Bros. 2 shares with The Legend of Zelda is that certain doors require keys to enter. Don’t think that the task of acquiring and using a key is as straightforward in this game as it was then, however. Because Super Mario Bros. 2 doesn’t have an advanced inventory system, your character must instead psychically carry the key to the lock. Their journey is guaranteed to be perilous when the picking up the key for the first time awakens a seemingly sentient mask called a Phanto. These masks are highly persistent in chasing down your characters, being able to phase through walls. They’re also immune to most attacks, meaning the only way to lose them is to expend the key or drop it. The latter is only a temporary solution, for the Phanto will continue chasing your character if they pick it up again. The first six worlds have three stages as opposed to the original, which featured four apiece. Furthermore, there are only seven worlds to the original’s eight. On top of that, the seventh and final world only has two stages. Interestingly, this strange aspect is explained in the Japanese manual of Doki Doki Panic. In that version, the dream world exists in a book owned by twin siblings. They fought over the book one day and ripped a page from it in the process. The ripped page is thus reflected in the game with the final world only having two stages. Though this development may seem like a step down on the surface, as Super Mario Bros. 2 boasts a mere twenty stages to the original’s thirty-two, in light of these improvements, I can safely say what this game lacks in quantity, it makes up for in quality. Another welcome change is that rather than clearing a stage by reaching a goal, the player is made to fight a boss. The most common boss is Birdo, a pink dinosaur-like creature that shoots eggs at the player character. To defeat her, one must jump on top of the egg and throw it back at her. Later on in the game, players are pit against red and green variants of Birdo. The red Birdo can shoot fireballs, which obviously cannot be picked up and thrown, in addition to eggs. Meanwhile, the green Birdo only shoots fireballs, necessitating the player to find another object to throw at her. Sometimes, the environment is fashioned in a way that gives the player a disadvantage, so it’s best to exercise caution. When Birdo has been struck three times, she drops a crystal ball. 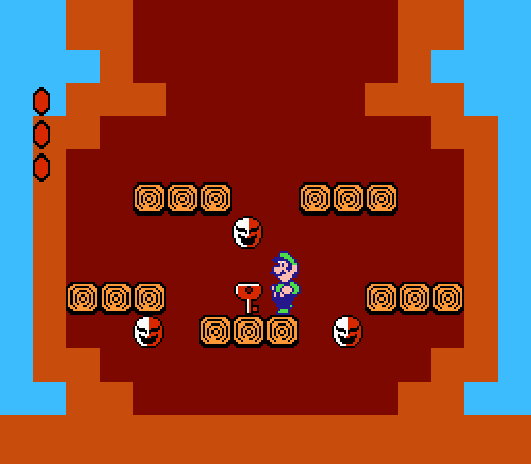 Upon collecting it, the player character is allowed to enter a Mask Gate, which serves as the goal. A different boss awaits the player at the end of each world’s final stage. These bosses are usually more challenging than any of the Birdo fights, requiring players to observe their patterns and react accordingly. Even in the face of these improvements, I think the greatest contribution this game provided to the Mario series is that the worlds now have a unifying theme. The first world features the standard grassy plains one would expect out of an introductory stage. The following one has a desert motif, which complements the Arabian-inspired art style of the original game. The fourth world is set near a frigid body of water. While select levels in Super Mario Bros. took place in winter, the snow was purely aesthetical, not affecting the gameplay at all. In Super Mario Bros. 2, platforms in the icy region have a distinct lack of friction, as one would logically expect in such a scenario. Though some themes are repeated, it does give Subcon more of a personality than the Mushroom Kingdom as it was depicted in Super Mario Bros. To further cement this, every region has a unique set of vegetables. Though there are plenty of great things to say about Super Mario Bros. 2, it does fall short in a few ways. Its biggest problem lies with its character roster. If the stage requires a lot of vertical jumping, Luigi is the ideal candidate. Meanwhile, stages that involve circumventing large gaps are best handled by Peach. Finally, if a stage involves a lot of digging, Toad is the best choice. The problem is that if you’re playing this game blind, it’s impossible to know which characters are suited for a given stage. Choosing Toad on a stage that involves a lot of jumping makes it difficult to complete. If there was a way to change characters in the middle of a stage, this problem could’ve been avoided. As it stands, if you choose the wrong character, you’re stuck using them until you lose a life. There’s also the minor issue that the character balance leaves a bit to be desired. Though Luigi, Toad, and Peach all have designated uses, the same can’t exactly be said of Mario. By virtue of being merely good at everything as opposed to specializing in one field, he is rendered somewhat redundant. Alternatively, because of Toad’s subpar jumping abilities, Mario can be used as a substitute in a majority of the stages in which he would be useful. He is the second-strongest in addition to being a better jumper, the latter of which is a vital skill for a character in a platforming game. One last issue I have concerns Subspace. As soon as you set the Magic Potion, you’re stuck entering Subspace exactly where the screen rests. Because you cannot scroll the screen in Subspace, whether or not the mushroom capable of increasing your character’s maximum health is onscreen is left to chance. They are in fixed locations, but there is no way to tell where they are ahead of time. This turns the process of finding these mushrooms into an abstract guessing game more often than not. Despite these flaws, Super Mario Bros. 2 manages to be a mostly enjoyable game. In fact, when making the conversion, Mr. Tanabe and his team managed to excise a lot of the problems plaguing the original Doki Doki Panic. Though not knowing which character to pick in advance can get frustrating, Doki Doki Panic required players to beat the game with all four of them separately to view the ending. The game’s save feature mitigated this somewhat, but it didn’t stop players from having to navigate characters through stages that didn’t suit their strengths at all. Doki Doki Panic didn’t even include a run button, which is strange given it started off as a prototype for a vertically scrolling Mario game. Because of this, I can say it was good of Nintendo to polish their game before releasing it under the name Super Mario Bros. 2. Having to complete the entire game in a single session is a tall order, but given that it’s not particularly long, it’s not wholly unreasonable. Despite having little in common with Super Mario Bros., Super Mario Bros. 2 is the type of sequel that wasn’t uncommon back in the eighties. This could be seen in how Super Mario Bros. itself was vastly different from its spiritual predecessor, Mario Bros. Operating on such outlandish premises, one would be forgiven for believing in 1988 that every single installment henceforth was to provide a disparate experience. Only when enthusiasts discovered the existence of The Lost Levels did the game released in its stead in the West as Super Mario Bros. 2 begin receiving heat. Suddenly, the same people who didn’t raise an eyebrow over Mario throwing vegetables at enemies now claimed to have known all along that something was off about the trilogy’s second installment. Therefore, it’s best to take anyone referring to games such as Super Mario Bros. 2 or Zelda II: The Adventure of Link as the series’ black sheep with a grain of salt because with only one predecessor apiece, a formula had clearly not been established. Only retrospectively could anyone realistically make such an observation. More importantly, the Western Super Mario Bros. 2 is popularly considered inferior to its Japanese counterpart if for no other reason than ostensibly not being the genuine article. After detailing my thoughts on both versions of Super Mario Bros. 2, I actually believe the Western fans got the better game out of the deal. I may have a degree of admiration for the challenge The Lost Levels provides, but I know I wouldn’t have been nearly as kind had I played it without a guide in 1986. It is a textbook example of a game that doesn’t grasp where challenge ends and irritation begins. The Western Super Mario Bros. 2 accomplishes the task of importing many of the improvements from The Lost Levels, which include gimmick stages and Luigi being a distinct character from Mario. However, it had a lot more to bring to the table than The Lost Levels. In an era when players were conditioned to go in one direction and one direction only in platforming games, Super Mario Bros. 2 stuck out by featuring levels with multiple paths and even the occasional puzzle. 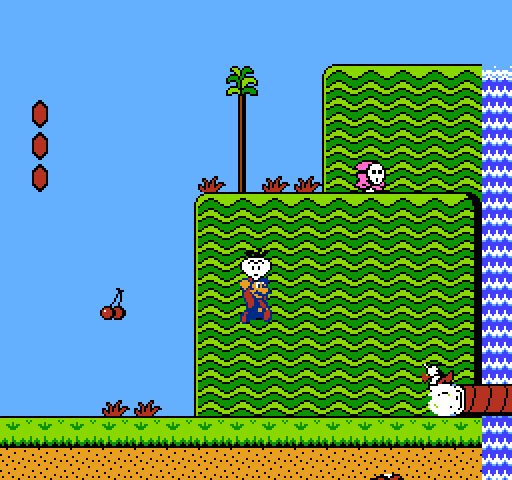 It also saw fit to introduce many of the franchise’s famous enemies such as Shy Guys, Bob-ombs, and Snifits. Though one could think its gameplay is odd compared to its predecessor or alternate sequel, Super Mario Bros. 2 helped the series craft its unique identity. Even with all of its good points, I find the task of giving Super Mario Bros. 2 a straight recommendation slightly difficult. I agree with the consensus that it’s not one of the better games in the series. Then again, this is less because I think Super Mario Bros. 2 is bad and more because, like its predecessor, it has been surpassed many times over in the coming years. At the same time, and as curious as it may sound, I also feel that my stance on Super Mario Bros. 2 is very similar to my feelings toward The Legend of Zelda. Later installments may have surpassed it in terms of scope and ingenuity, yet Super Mario Bros. 2 doesn’t come across as a feel like prototype to any of them. Because of this, I could recommend Super Mario Bros. 2 to fans of the series on the basis of providing a different experience. It wouldn’t be a terrible installment to start with either, though newcomers will have to realize that, for better or worse, no other game in the series is like it. Great read! Personally I differ a bit, as I’ve found SMB2 NA, one of the best SMB games. Maybe it’s because it was one of the first NES games I got when we finally got our NES in 1989 at Christmas. But it was a drastic jump from what you could do in the original SMB games. The level design was somehow both intuitive, and abstract at the same time. The characters were larger, and more colorful. The soundtrack was great. Honestly, I wish Nintendo would bring back more of its characters. Birdo, Shy Guys, and Bob-ombs would show up in later Mario titles. But where are Mouser, Clyde, and Wart? I do think once fans in North America were told it was actually an altered version of a previous game (NOA revealed this in MARIO MANIA, their Super Mario World strategy guide), it became the black sheep because it was then considered “Pretend” SMB from that point on. But even still, the game had improvements over the Doki Doki Panic foundation. It wasn’t just a mere reskin. Thanks! Unlike Zelda II, I can definitely understand somebody citing this as their favorite game in the series. It’s interesting because when I started this review, I was ready to give Super Mario Bros. 2 a 5/10. However, when I began writing it down on paper, I realized just how much of an improvement over the original game and alternate sequel it really is. And you’re right; not seeing the bosses in this game other than Birdo in future games is slightly disappointing. Speaking as someone with firsthand knowledge, that is precisely how it panned out. When I played this game for the first time in the early nineties, nobody I knew bat an eyelash over how much different it was from the original. Even when All-Stars came out, I didn’t make the connection that The Lost Levels = The Japanese Super Mario Bros. 2, and I highly doubt I was the only one who didn’t catch on for that long. Only in the internet age when the knowledge of this game’s true origins spread was there a backlash of any kind. 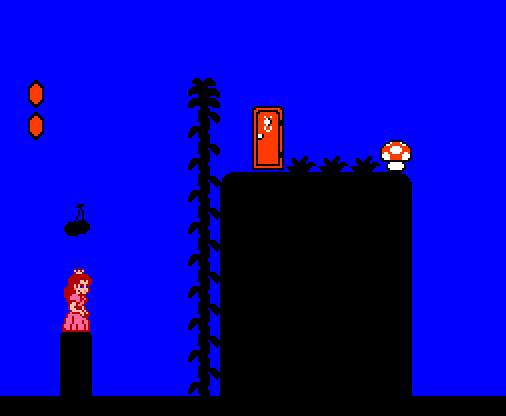 Even then, when I was doing my research, I wasn’t expecting to learn that in its earliest prototypical phases, Doki Doki Panic was intended to be a Mario game all along. Plus, as you say, it was greatly polished when it made its way to the West; a simple reskin it was not. Super Mario Bros. 2 will forever be my favorite of the NES entries of the series. I played this game for hours and grew up defending it after SMB3 appeared. The inclusion of Toad and the Princess was huge to me at the time and like you said, it was incredibly dynamic to go from the first game to the second in terms of platforming. There was a freedom to the game that made it hard for me to go back to the first, even when I was young. I do like your mention of the ‘black sheep’ label, though. Kudos on the backstory of the game, too, as there were points in it that I wasn’t aware of. The research you do on these topics is appreciated! I totally get that. I myself didn’t fully appreciate this game until I began typing out my review. After I did, I realized what a step forward it was from the original. Having the previous game’s damsel in distress as a playable character was unheard of back then. As I said, nobody back in the day bat an eyelash over Super Mario Bros. 2 and its radically different gameplay. Only in hindsight was it ever considered a black sheep. And even then, it wasn’t nearly as radical of a change as, say, Zelda II, which was in a completely different genre from the original. A lot of people complain having not gotten the real SMB2, but in all honesty, I now believe we got the better game out of the deal. Thanks! I myself wasn’t aware that Doki Doki Panic was actually intended to be a Mario game from the very beginning. I’m glad you enjoy reading these backstories, though the truth is that I’m learning of them alongside you guys. Good stuff! Regardless of how the game came about, I really enjoy SMB2. The visuals are a real help here, as the bright colours really stand out, and the designs of the characters moving forward seem to have their basis here rather than in the previous games (although I could be very much mistaken). Thank you! And I agree – this game and its alternate sequel definitely helped set the trend of Mario and Luigi’s separate character evolution. It is indeed a more visually striking game than its predecessor on top of having better level design overall. Another informative write up. I played Doki Doki Literature Club earlier this year and now know what Doki Doki means. Back when I was a kid I enjoyed playing Pac Man on my dad’s Atari, but then again I didn’t know better. After seeing footage of Ms Pac Man, for the same console, it’s really clear what a rush job OG Pac Man was. I enjoyed Super Mario 2. Never played the original though, my experience is with the SNES port. I can see how entering a stage, without knowing who the optimal character is, could be frustrating. Reminds me of playing Mega Man blind and not knowing what the best order to tackle levels is. Oh yeah, I remember you writing up about that some time back. I heard of Doki Doki Panic first, so that’s how I learned of the onomatopoeia. From what I heard, the 2600 Pac-Man was actually a (mostly) stable alpha build the higher-ups took and released in stores. Goes to show how even back in the supposed golden age of gaming that there were suits attempting to get money out of their unwitting customers. At least nowadays, it’s easy to read up on what nonsense these companies pull. I played the original, and the SNES port isn’t really that different – other than graphical facelift and the ability to save, naturally. I give Mega Man a little more credit in that regard because the Robot Masters’ weakness all have explanations (even if they are cryptic at times); the only time it becomes an issue is in the beginning when you’re determining which one to tackle first considering some stages are way more difficult than others without the boss’s weakness. In Super Mario Bros. 2, it’s a guessing game left to chance (albeit with a minor consequence if you guess wrong). Still, it may have a reputation as the series’ black sheep, but I think it’s better than the original. That sounds like Super Mario All-Stars. I would be more likely to recommend that version over the NES original because it has a save feature, though the original version has itself held up reasonably well. The ice stages are tricky if you don’t account for the lack of friction. Kind of repeating what I said before, I found Mario 2 to be better than Lost Levels once all is said and done, but I really didn’t like this game. Probably the NES game I have the most negative associations with. Even as I kid, I found it to be sloppy and sluggish to control, and I didn’t have fun with a lot of the trial and error aspects of the game. I’m glad Mario 3 went with more of a traditional track, because I couldn’t have taken more of this. That’s fair enough; even if I think it’s an improvement over its predecessor and alternate sequel, it’s still not what I’d call an essential play. The trial-and-error aspects aren’t as bad as they are in classic adventure games, but they shouldn’t be a part of the platforming experience at all. And I hear you; Super Mario Bros. 2 is a neat little game, but the series wouldn’t achieve true greatness until it went back to its roots with Super Mario Bros. 3. I enjoy and respect SMB2 but can cerrtainly see criticisms against it. Personally, I liked that the four characters all felt different and I’m glad that they did eventually carry that idea forward to future spin-offs and games. As do I; the ability to play as four different characters in a platforming game was quite novel. Between the oddball entries of its era (i.e. Zelda II and Castlevania 2), Super Mario Bros. 2 is the one of the few I believe to be an improvement over the original.